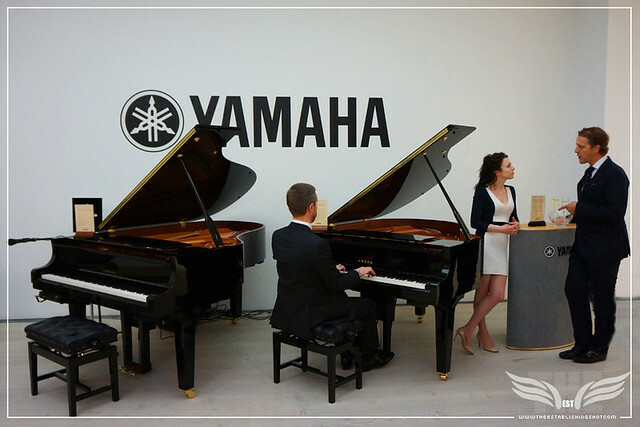 This post was originally intended to be a “Must see things at SalonQP 2015”. You know the type of post I'm referring to - low on content and high on hyperbole - but after spending some time at SalonQP absorbing the atmosphere and chatting with some of the talented and clearly determined watchmakers. 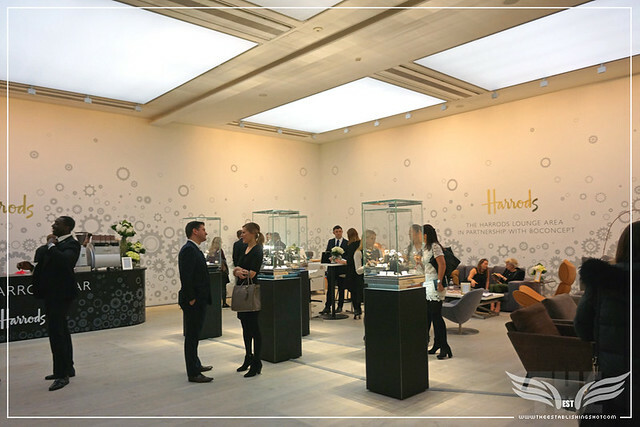 I thought I really would be doing them a disservice if I didn't at least try to capture some of the innovative essence and elegance that SalonQP and their watchmakers bring to London - once a year for their annual luxury exhibition dedicated to fine watches. How could I not take some time and try cobble together something a little more substantial? Initially I had thought I may be overwhelmed by the sheer quantity of time pieces and objects of desire on display from the 80 exhibiting brands at SalonQP 2015. Also the large number of people that typically attend these kind of events was a factor in my concern that I might not get a chance to see everything I hoped. Last year over 7,000 people visited and as SalonQP is growing from strength to strength - this year even more were expected. 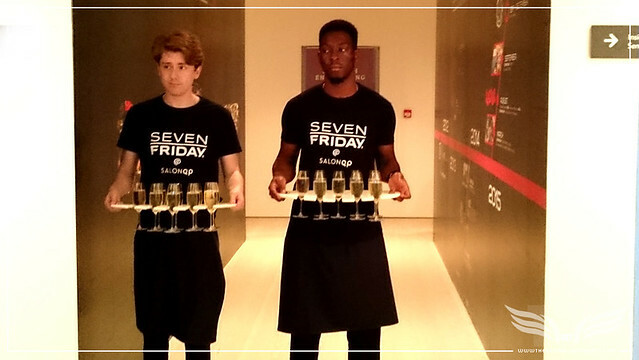 Thankfully this was not the case at all as the exhibition is spaciously laid out over all three floors of giant The Saatchi Gallery. I was able to make my way around the entire exhibition in a couple of hours but more time was needed for visits, demonstrations and browsing pieces as there is more than enough to keep you occupied for days if needed. 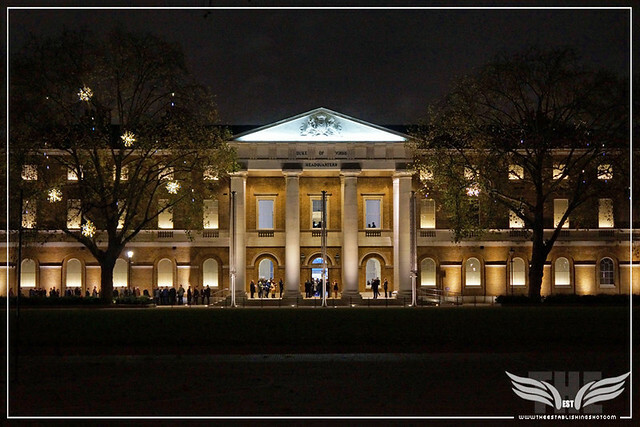 After a visit it is easy to see why SalonQP is the UK (if not Europe's) premier fine watch exhibition. I hasten to add that although the focus of SalonQP is time pieces - it is very much a lifestyle exhibition - with high end luxury houses from other areas like; Lotus (because cars & watches), Linn Audio, Berry Bros. & Rudd, Creed Fragrance, Harrods, et al, showcasing their goods to meet the needs of people who enjoy, nay celebrate life. I would be surprised if SalonQP did not grow into a complete luxury lifestyle exhibition in the future. SalonQP is an extraordinary opportunity to research your next purchase, meet some of the most talented crafts people in the watch business, see early watch samples before public release as well as view limited and rare examples of some of the finest watches ever made, listen and discuss aspects of the art & science of Horology (there are talks and seminars from leading watchmakers), view specially curated exhibitions as well as have a jolly good time which seems core to the SalonQP experience. But for me, if there is one overriding take away from my visit SalonQP 2015 it is that I may never look at a watch the same way again - for most of us watches arrive as fully formed objects of function and beauty an almost abstracted thing distant from its origins, so understandably it is easy to forget that they are the composite of a long road and meticulous hard work. Nowhere was this more pertinent for me than when I stopped by Objectif Horlogerie to watch one of their craftsmen busy constructing a time piece. A seemingly small and relatively unglamorous (when compared to the champagne bar and piano player metres away) part of the SalonQP experience but a humbling moment of my visit and certainly something I will remember the next time I look at any watch.Objectif Horlogerie were offering SalonQP visitors a hands on 90 minute master classes on assembling a watch. Paris based Objectif Horlogerie will be hosting watchmaking masterclasses at SalonQP where visitors can find out first-hand what it takes to assemble a watch. 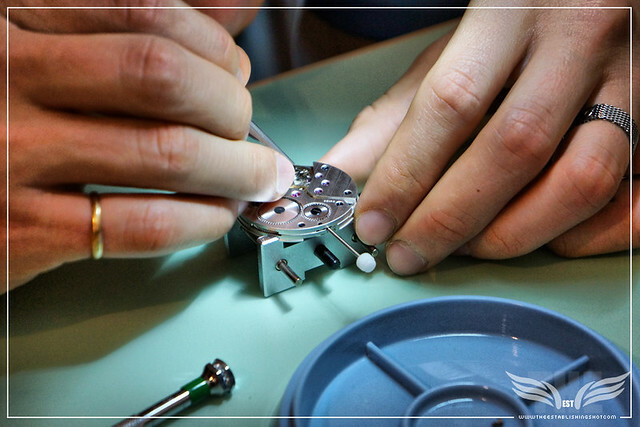 Two Swiss-trained expert watchmakers will instruct a small group in the dedicated skills of movement assembly. From its location in the centre of Paris, and through its mobile workshops, Objectif Horlogerie invites both connoisseurs and newcomers to mechanical movements to spend an enthralling half-day as a watchmaker. 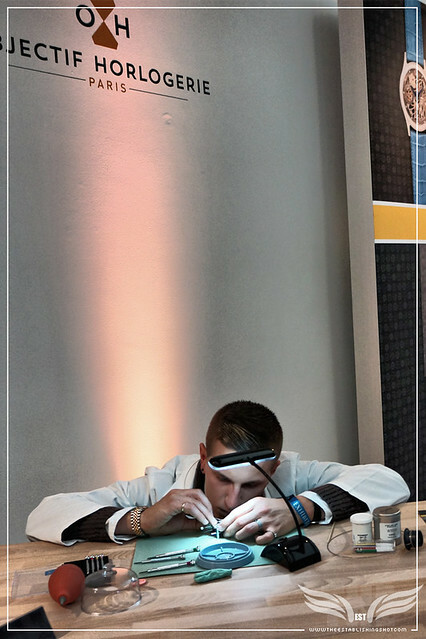 A specialist in horological training, Objectif Horlogerie proposes hands-on workshops where anyone, regardless of their Level, can discover the magic of time. Objectif Horlogerie innovates by putting mechanical watchmaking within everyone's reach. From theory - milestones in timekeeping history, identification and function of the the different parts - to practice - disassemble, clean and reassemble a mechanical movement - classes emphasise learning in a pleasurable environment. 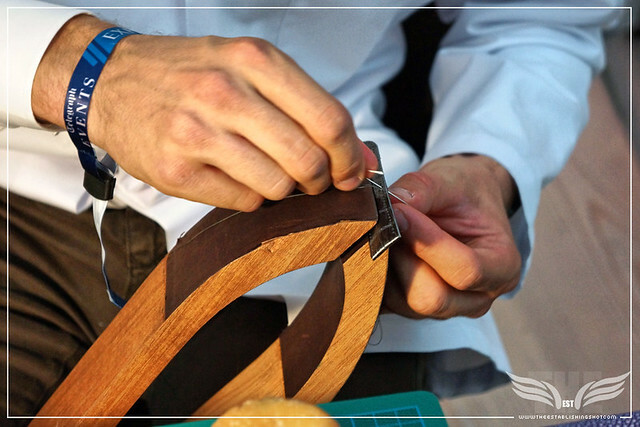 I experienced similar reverence when visiting French luxury leather goods manufacturer Jean Rousseau just in time to see one of their craftsmen stitching a gorgeous leather strap. I have an admiration of craftspeople and to see these masters of their trades creating in front of my eyes was special. But I'm moving too fast perhaps I should turn the clock back, back to when I was greeted with a flute of champagne from the SevenFriday team before making my way into a brief introduction to SalonQP 2015 from Timothy Barber, confirmed horologist and the Editor of QP Magazine, "Britain's premier fine watch magazine" and the host of SalonQP. 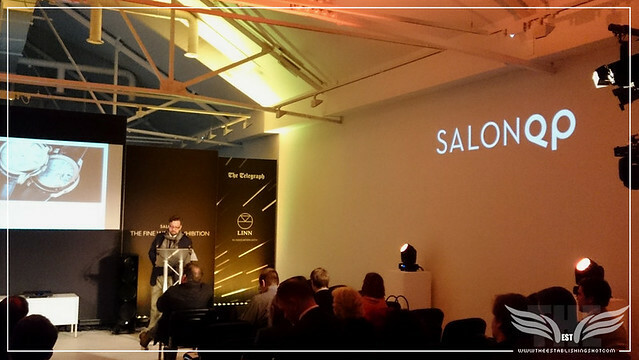 Timothy introduced us to SalonQP, some of the highlights, special events and seminars that SalonQP would be hosting. 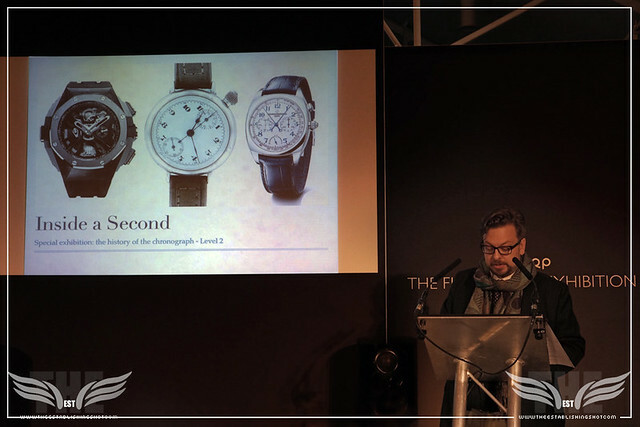 I was fortunate to part of a group that had a curated design highlights tour focussed on some of Timothy Barber's top picks of SalonQP 2015, some of which by proxy became my favourites. In case you are wondering why your favourite watch or brand is not mentioned it would take days to write about every piece that caught my eye - but you can view QP Magazine's showstopping list over here! 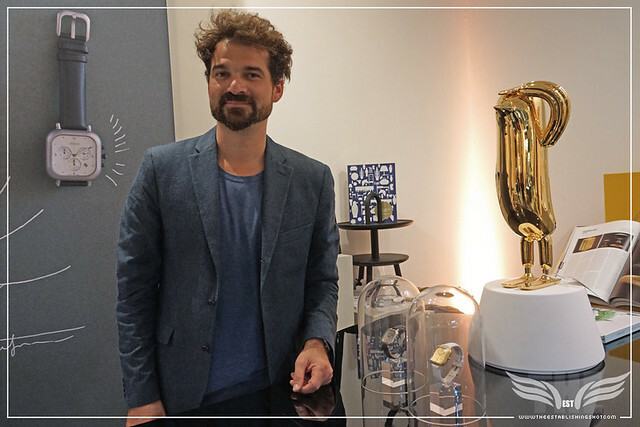 Barber guided us to MB&F (Maximilian Büsser and Friends) a French watch house headed up by Maximilian Büsser, previously Büsser was instrumental in Harry Winston's celebrated Opus collection. This was the catalyst for Büsser's interest in “extreme” creative pieces which is exactly what MB&F specialises in - Horological Machines and they also unveiled their unique take on more traditional design with their Legacy Machine Perpetual. MB&F fuses traditional watchmaking of the highest craftsmanship with an artistic approach to create three-dimensional kinetic sculptures. MB&F’s audacious Machines respect but are not constrained by tradition, and their ramifications are profound. 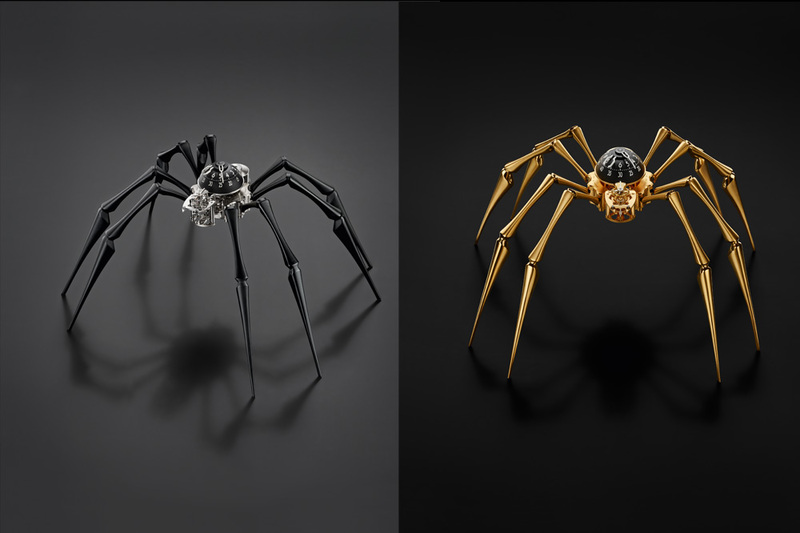 MB&F will present pieces from their Arachnophobia collection, demonstrating Maximillian Büsser's dedication to art and fine horological craftsmanship. Alongside these art pieces, MB&F will also present their first traditional grand complication watch - The Legacy Machine Perpetual. In hindsite I believe Tim was showing us the gorgeous and innovative MB&F LM Perpetual it really gorgeous, unfortunately I was so distracted by the Arachnophobia piece. I missed most of what Tim what saying but made a note to return later, unfortunately when I got back a rather large crowd had gathered at MB&F so I moved on. I did however get a close up look at the astounding Arachnophobia piece which could sit on a table or be wall mounted. It is an interesting piece encapsulating what can be achieved - but it's not my cup of tea. It certainly would make an unforgettable conversation piece. 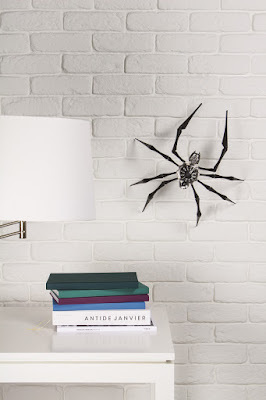 Arachnophobia was inspired by a giant spider sculpture called Maman (mother in French), created by Louise Bourgeois (1911 - 2010) in bronze, stainless steel and marble. Measuring 9.27 x 8.91 x 10.24 metres, the monumental sculpture has been installed in a variety of locations around the world. 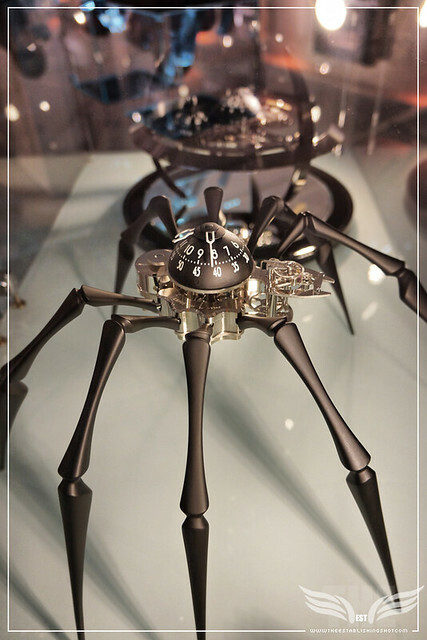 MB&F developed the highly unusual concept with L’Epée, selecting a high-end L’Epée clock movement and re-imagining it as the mechanical head and torso of a spider. The body is outfitted with a black dome with white numerals depicting the hours and minutes. The Arachnophobia’s self-sufficiency is to be admired, for the finely-finished, highly-visible movement boasts a power reserve of eight days. At either end of Arachnophobia's time-displaying abdomen, important mechanical processes take place: the head houses the regulator with its oscillating balance wheel, while the other end contains the mainspring barrel, which powers the movement. Attached to the abdomen are eight visually enticing legs which can be rotated so that Arachnophobia can stand tall on a desk or on a wall. 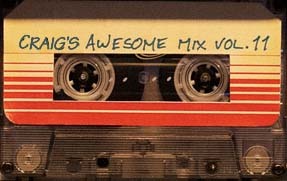 Next up, is one of my favourites. 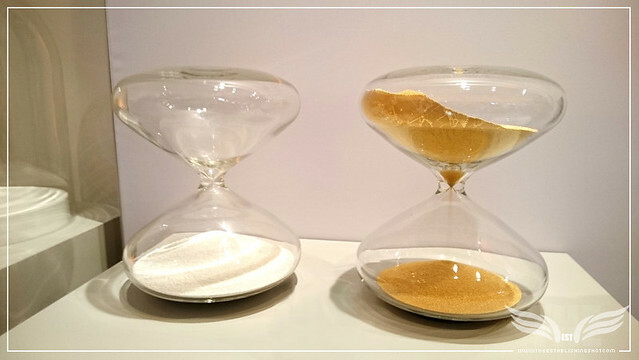 Full disclosure is that I am a bit of a fan of Marc Newson's work so perhaps it is is no surprise I was very taken by the simple elegance and ingenuity of concept - of his meditative HourGlass piece. It's absolutely stunning and almost certainly will attain as iconic status as Newson's Lockheed Lounge or Orgone Chair pieces. The material used are specially engineered steel nano balls [coated with gold or silver], it is noisy in here but if you, listen closely you can actually hear tapping or ticking as the balls fall, each piece is hand blown in Basel, Switzerland by one man, which means that only eight pieces are made a month, so that means that less than 60 pieces are created a year. The Hourglass is a true engineering feat. Blown from a single piece of borosilicate glass, it contains millions of tiny spheres made of stainless steel. 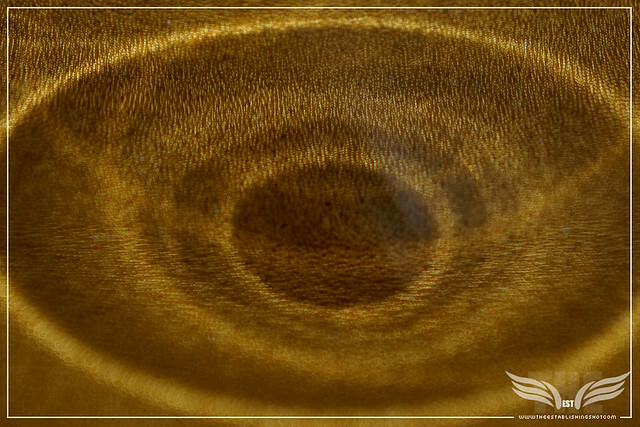 Each and every one is precisely 0.6"mm in diameter and coated with fine gold or silver. 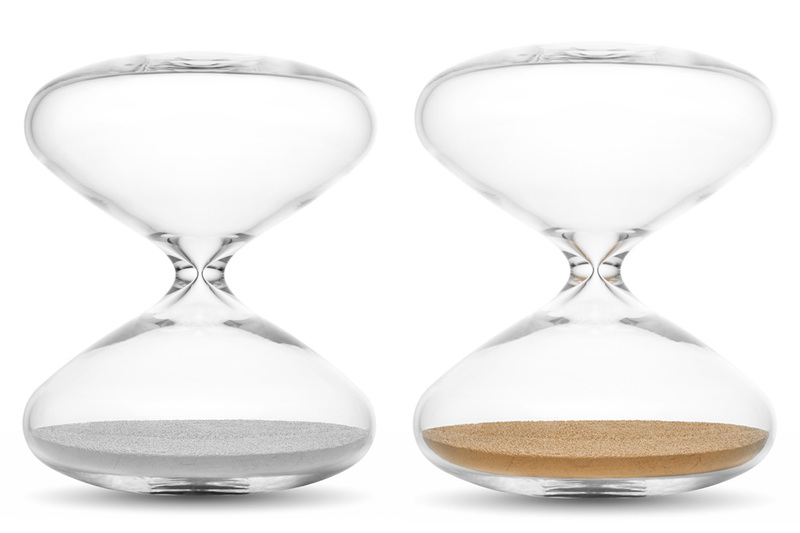 When the Hourglass is inverted, the precision balls fall and bounce in an erratic but truly mesmeric way. As a handmade piece, accuracy can vary by ±"2 minutes. 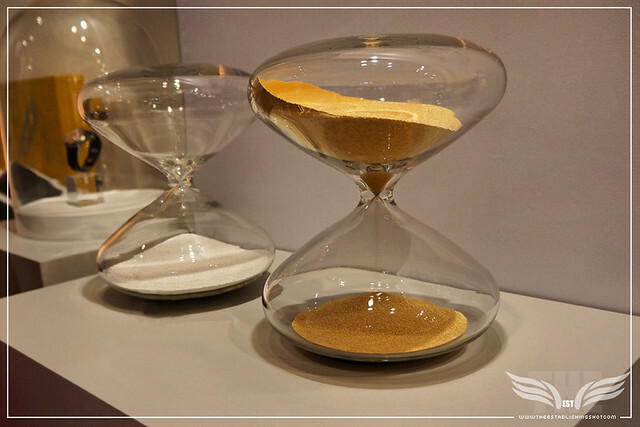 Marc Newson’s signature is etched onto every Hourglass as they leave our workshop in Basel, Switzerland. Spanish Artist-Designer Jaime Hayon is an acclaimed Designer and on the cusp of being an international household name. Wallpaper magazine recently listed him as #13 in their list of the world’s 100 best designers. You may possibly recognise him as the Artist behind the giant ceramic and mosaic Chess set - The Tournament installed in Trafalgar Square a couple of years ago - but his talent doesn't seem to have any borders and is spread across shaping multidisciplinary formats from art through furniture all the way to pulling it all together with Interior design. The OROLOG ‘MIKO’ wristwatch by Jaime Hayon is the first collection in his “Play Time” series of limited edition timepieces. Taking his inaugural ‘CHROMA’ series Chronograph as the starting point, he plays imaginatively with the zoomorphic possibilities of this intrinsically technical dial. In Jaime’s universe, all is not often what it at first seems, where objects come to life, things and creatures merge and are transformed. From his realm of rich fantasy comes a unique wristwatch. At this moment when time-telling becomes enveloped in Jaime Hayon’s world, the fun begins. He designed his first wristwatch collection for a new Swiss watch brand OROLOG which launched in late 2013. These collections have put Jaime at the forefront a new wave of creators that blurred the lines between art, decoration and design and a renaissance in finely-crafted, intricate objects within the context of contemporary design culture. 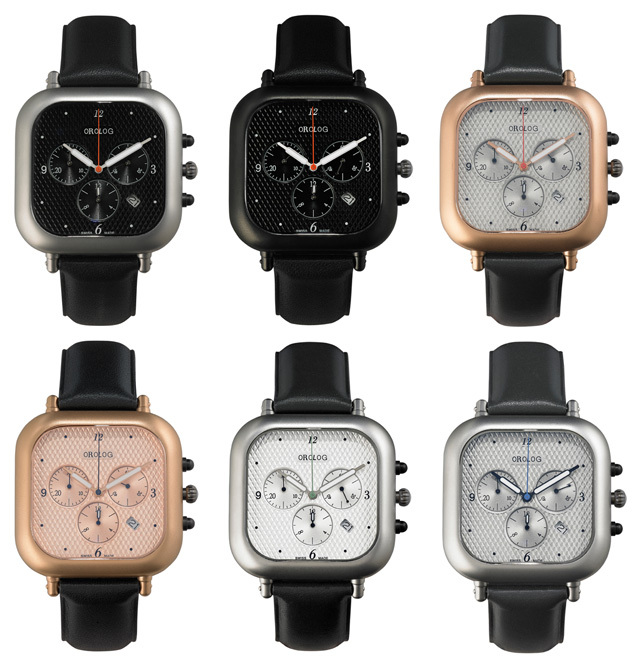 He launched his 2nd ‘Monochrome’ Timepiece Collection for OROLOG during the London Design Festival Sept 2014. Everything you see here is made by Hayon, the tables, the chairs the sculptures - he is a prolific designer and last year the Groninger Museum put on a retrospective of his work. If you have a look at The Telegraph they have Miko, Hayon and Orolog the front cover. Jaime is launching his Miko range of timepieces, It is a abstract piece, and until I mentioned it you probably didn't notice the monkey face, Miko is actually derived from Spanish for monkey. These are all special editions and come in rose gold, black and silver. Angela was completely correct – it did not strike me straight away but once pointed out I couldn't stop seeing the little monkey smiling at me from the face of the watch. Jaime took some time out for a short chat with us about his Miko wristwatch design. And I have to say I have to say the longer we/he spoke the more I liked Hayon. He came across as a young practical talent with a sense of humour and appreciation for the purer and simpler things in life. That even though he has a fair amount of innovation under his belt it felt like he was only just starting and there was lots more to come. 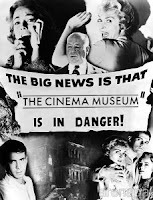 The following is based on our discussion, is paraphrased and re-ordered to give our discussion a chronological narrative. The Establishing Shot: Jaime can you tell us about the Miko collection? Well I don't really think of them as collections, they just kind of happen. It's more like an evolution we start with a watch, once we understand it and the moment is right we try put something new into the watch. I always likes watches but couldn't find the one for me. 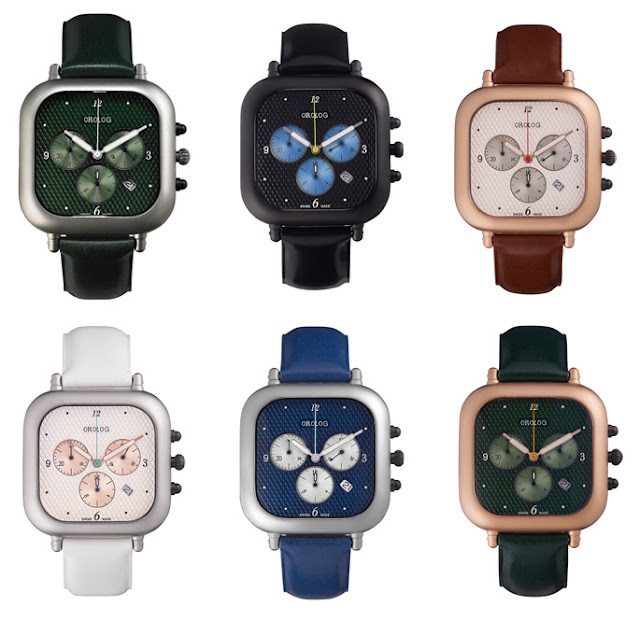 I had a really good one but I felt it was to thick for me and I really wanted something flatter, a little thinner and more elegant – so I designed this watch. I started drawing a ceramic watch which was going to be bigger. But in doing so I started thinking about the current elements of our watch and how I could do it. 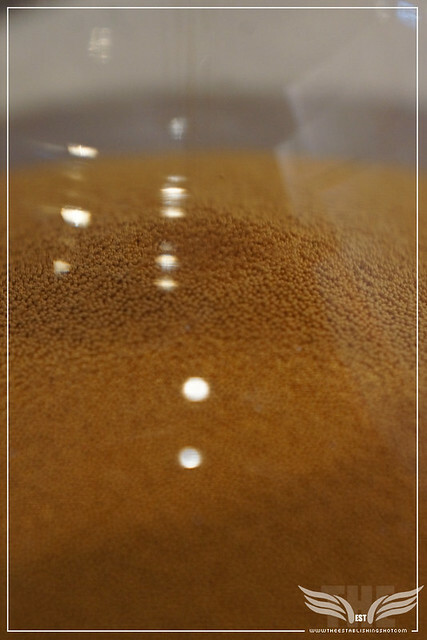 I like very pure materials, materials that have a life. I'm not really into plastics, composite materials or techno. I do like some of them but I hardly use them. I did make a chair this year using some high end technology which was the first time. But I haven't really work with materials you wouldn't find in a history museum like ceramics, crystal, wood and some metals. They have a type of life about them and become more beautiful with time. With the watches its the same its about leather, aluminium,copper and those type of materials because they are good for our watch. We always said we wanted to make a nice watch, something that was its own object. It was very interesting but difficult at times, so it took awhile. It was a complicated construction process particularly with the spherical elements of the watch, the curved parts were difficult. It is curious that not everyone sees it immediately and it is nice when you discover it for yourself. There are three different designs here right now - the one that combines colour and materials [OROLOG OC-1 ‘Chroma’ Collection], the Monochromatic series [OROLOG OC-1 ‘Monochrome’ Collection], the third series - Miko [OC2 MIKO Chronograph Collection] which we first introduced in art galleries in both London and Paris and are a very much a Limited Edition Series ….. and actually we have a fourth one here, this is actually its first day out - it is called Gaviota [Spanish for Seagull]. It is called Gaviota because it is like a bird inside it, if you look here it's like two ears it is a little bit of a fantastic drawing. And I tried to work with the maximum one could on a single plate. If you have a look around you'll see tons of watches that use layer upon layer to be creative with their expression, but we have done it with only one layer. I've tried to get the maximum with the minimum. That's what I like. My first reaction when I saw it was it's only one plate but it looks so three dimensional. If you move it around because it's Monochromatic look what happens with the light it looks completely different when its horizontal, when you can only see the lines. That is what I like - it is really simple but the process is really quite interesting – just by using different thicknesses for the levels - you get all these different expressions. 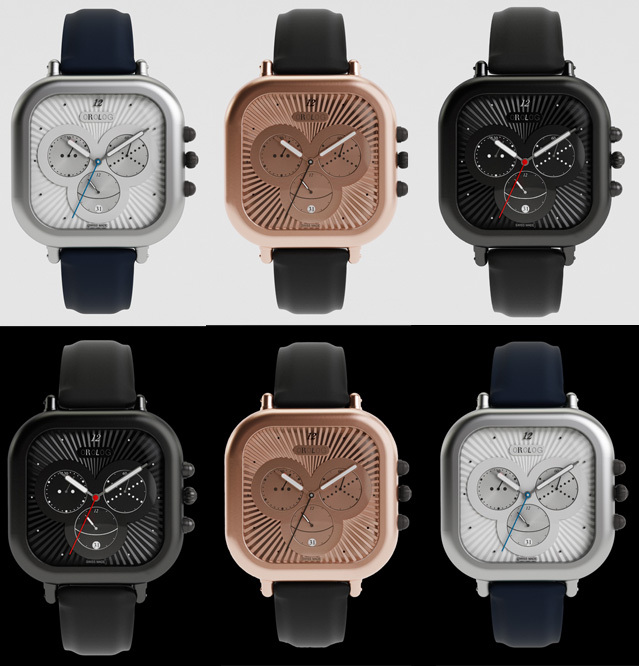 Which brings us back to Miko is a type of monkey and inside the dials there is a monkey but its about the inspirations of the textures and how you apply that within the dials which makes the language of the watch, that is also part of it. I like when the dials move and they create an expression. There is a grain of humour to the design. The OROLOG ‘MIKO’ Chronograph is Swiss Made in a limited edition of 50 pieces per model, numbered and signed by Jaime Hayon. The iconic ‘Hayon’ sculptured case, dials, available in Matt 316L Stainless Steel, Matt Red Gold PVD, Matt Black PVD, with matching buckles designed by Jaime Hayon and exquisite French calf leather straps. Water resistant to 50 metres.